LEGENDARY Kerry manager Jack O'Connor hailed his latest crop of minors as the most 'complete' group of players he's ever managed after securing back-to-back All-Ireland titles. The three-time All-Ireland winning senior boss has now guided his county to two minor successes - having waited 20 years for a win before 2014. Corner-forward Conor Geaney, cousin of senior duo Paul and Mikey, was the star of the show with 2-4, both goals coming from penalties. 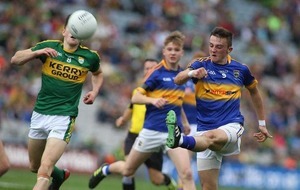 Midfielder Mark O'Connor had a great game too as Kerry repeated their Munster final win over Tipp. The Premier county actually won the second half of their previous meeting, giving them some hope, despite trailing by 10 points at the break here. 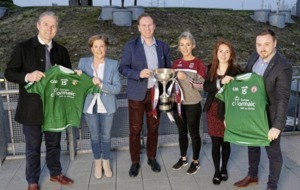 But there was no let up from O'Connor's side, who were conscious of finishing strong this time and they banged in two more goals, sealing a 20-point cakewalk. Ironically, O'Connor admitted he was warned off the minor job earlier this year as the latest batch weren't expected to win so big. "No, not at the start of the year, the team wasn't highly rated," said O'Connor. "The scribes down below were kind of writing us off. But, sure, we like to prove them wrong. We felt ourselves that they were such an honest bunch that they would improve as the year went on and they improved out of all proportion. Anyone would have to admit that. "They really came together as a team. Of all the crowds I've coached, I think this was the most complete team in the way they play for each other and how they interchange positions. The half-backs are able to come out, the half-forwards are able to come back, we had a great balance." As early as the 21st minute, Kerry had begun to celebrate each score as if victory was already theirs. 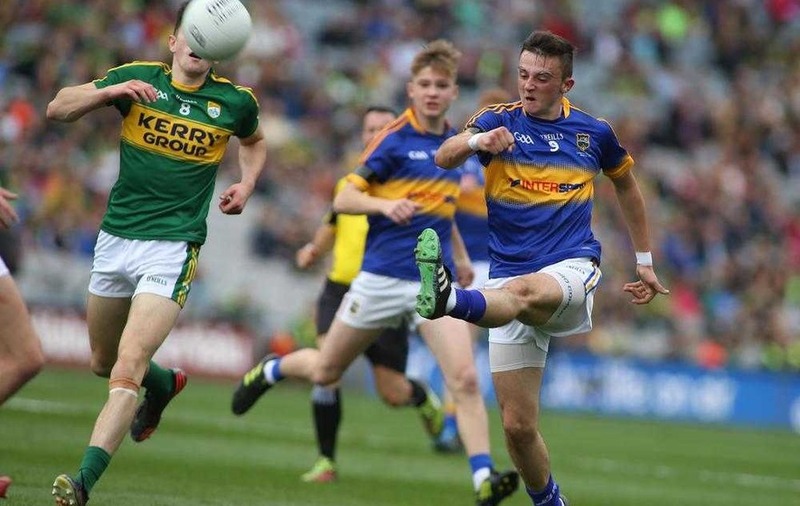 Brandon Barrett boomed over a long range point on that occasion and punched the air in delight as Kerry moved 1-5 to 0-2 clear of a shocked Tipp. Moments later, Conor Geaney won a penalty for Kerry before dispatching it to the bottom right corner and it really was game over. Tipperary looked a pale shadow of the side that bounced back from their provincial final loss with big wins over Galway and Kildare. They were cut open from the opening minutes when Kerry ran up four points without reply, hitting as many wides also. Tipp midfielder Tommy Nolan grabbed their first score in the 14th minute and then played the pass for a fine Alan Tynan score shortly after. But it was a brief reprieve as Geaney pointed for Kerry before their opening goal after 19 minutes. Full-forward Bryan Sweeney broke a high ball down to Seán O'Shea before accepting the return and slotting to the net. Barrett's score came soon after and Kerry, entirely dominant at midfield, sensed that Tipp were vulnerable and there for the taking. Geaney went for the jugular by firstly winning a penalty and then sending the 'keeper the wrong way with a great finish. Brian McGrath and Tynan clawed back two points for Tipp but, by half-time, Kerry were sitting on a healthy 2-8 to 0-4 advantage. It was difficult to see how Tipp could possibly make up the gap such was their difficulties, with O'Connor admitting afterwards he demanded his team didn't drop their standards. 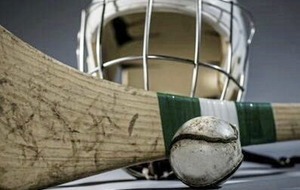 Defeat was tough for Tipp to take. In all, eight players were also part of the minor hurling panel that lost the All-Ireland final to Galway. Manager Charlie McGeever insisted afterwards the dual situation wasn't to blame for this defeat. He said it was simply an aberration the players will hope to forget. They scored just two more points in the second half and only once from play as Kerry enjoyed the freedom of Croke Park. Michael Foley palmed in a third goal for Kerry after 40 minutes and Geaney converted his second penalty four minutes later. 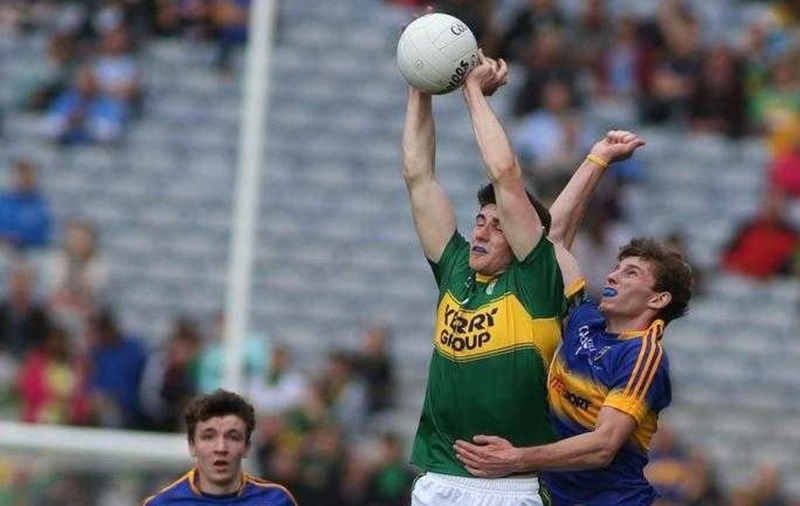 Kerry: B Courtney; D Brosnan, J Foley, T O'Sullivan; J Morgan, A Barry, G White; M O'Connor (0-1), JM Foley (0-1); B Ó Seanachain (0-1), S O'Shea (0-2, 0-1f), B Barrett (0-1); M Foley (1-0), B Sweeney (1-1), C Geaney (2-4, 2-0 pen, 0-2f); Subs: S O'Sullivan (0-1) for Barrett (40); J Duggan (0-2) for M Foley (47), M Breen for JM Foley (47), D O'Brien for T O'Sullivan (47); G O'Sullivan for Brosnan (53), D O'Shea for Morgan (53). 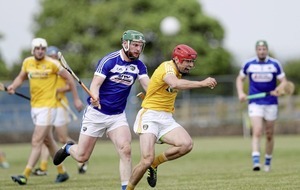 Tipperary: C Manton; T Fitzgerald, J Skehan, T Lowry; D Owens, L Fahy, E Moloney; J Kennedy (0-1, 0-1 45), T Nolan (0-2); A Buckley, A Tynan (0-2), C English; S Quirke, B McGrath (0-1), B Martin; Subs: R Peters for Buckley (h/t), J Bergin for English (h/t); M Irwin for Fitzgerald (44, b/c); M Kehoe for McGrath (46); G Whelan for Moloney (56); C Cashman for Martin (57).